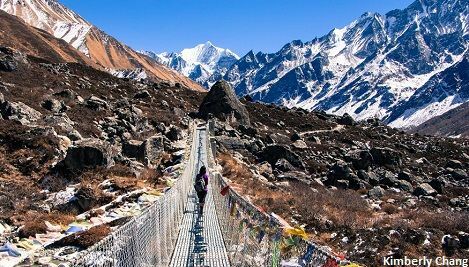 Featured in the list of 52 places to visit in 2017 by New York Times, trekking in Langtang aids to its recovery from the 2015 Nepal earthquake. Langtang region in the north of Kathmandu has been a popular trans-Himalayan trade route from ancient and medieval period. The Langtang valley also was a safe haven for Buddhists during the crisis. Hence Langtang exhibits most vivid culture of Shamanistic Tamangs and Tibetan Buddhist Sherpas. It is protected as Langtang National Park and has a number of high peaks including Langtang Lirung (7246m). 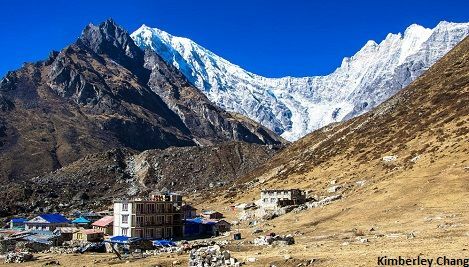 The easy access from Kathmandu and the awe-inspiring scenery makes Langtang trek popular among the trekkers. Short trek with option of climbing to 5,000 m.
Less touristic with intact Tibetan Buddhist culture. Awe-inspiring view of mountains, glaciers and alpine valley including 14th (Shisa pangma) and 99th (Langtang Lirung) highest peaks in the world. One of the most intact Himalayan ecosystem that shelters rare species like Red Panda, Snow Leopard, Himalayan honey guide and Larch. Blog - What makes Langtang Trek special ? 3 nights accommodation in Hotel Holy Himalaya - Kathmandu with breakfast and taxes included. Private transportation to and back from trekking trail head- Syabrubensi. Attractions: less touristic trek with intact Tibetan culture and option of climbing up to 5,000 m.
Grade : Moderate to difficult with ruggd trail, forest walking and altitude of above 3,000 m. Everyday walking is about 6 hrs. Transport : Private 4WD for Kathmandu - Syabrubensi - Kathmandu. Day 01 : Kathmanud arrival | Pick up from the airport and transfer to the Hotel | Discuss trek / tour and have a easy evening. An easy, relaxing day in a sedan car with a local guide will uncover totally different perspective of kathmandu. 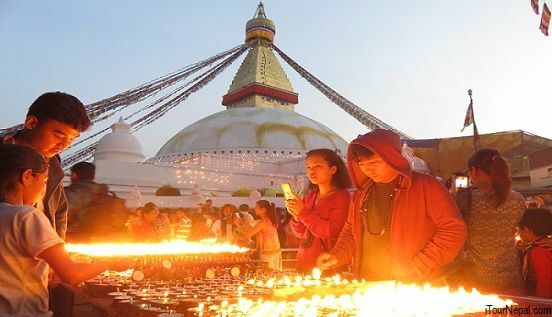 Kathmandu sightseeing Points – Pasupatinath Temple, Boudhanath Stupa, Swyambhunath Stupa (Monkey Temple) and Kathmandu Durbar Square. We will start our scenic drive north of Kathmandu in the winding mountain road. 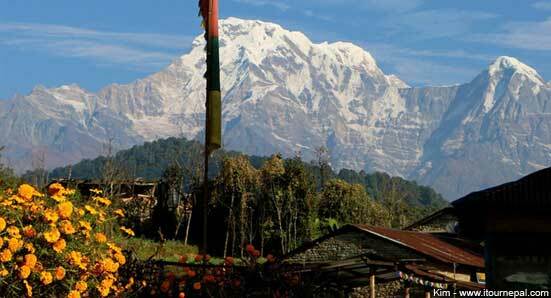 As we come around the mountainside, Ganesh Himal looms at a distance. At Dhunche we enter into Langtang National Park, from where the road climbs down to Syabrubensi. The trail follows upstream Langtang river through trees with Langur monkeys frolicking around. The walk is pleasant with scenic stops by waterfall and river view. There are some steep short climbings at some points. The trail continous to follw the Langtang river, climbing steeply through a forest of hemlocks, mapples and rhododendrons to popular luchtime spot of Ghora Tabela. There are fine view of Langtang Lirung. From Ghora Tabela, the valley opens wide and tail climbs gradually to Langtang village. Kyanjin Gompa is just couple of hours gradual climb further into the Langtang valley through the meadows. From here one can climb to Kyanjin Ri or Cherko Ri (5 hrs / 5,000m) for better view of the Langtang valley and Himalayan Peaks. Day 07: Trek down to Ghora Tabela or Lama Hotel after enjoying a morning in Kyanjin gompa. 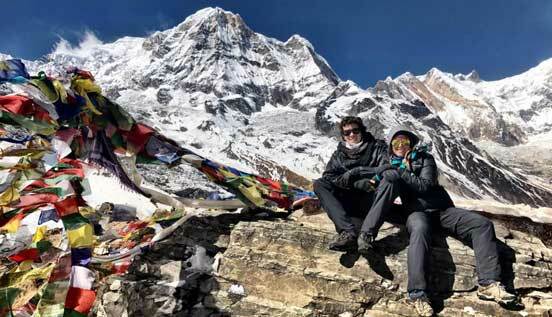 Just in one additional day in the above itinerary, you can climb one of the most spectacular peak in Nepal. 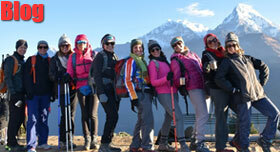 Yala peak for fit trekkers looking for more adventure. The peak doesn’t need mountaineering training or prior experience. However, it allows you to try your mountaineering gears and try your mountaineering skills. 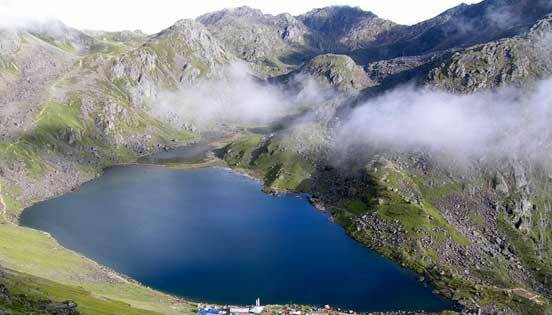 Gosaikunda Lake is another short trek destination in Langtang national park. The trek starts from Shivapuri national park right in the outer rim of Kathmandu. 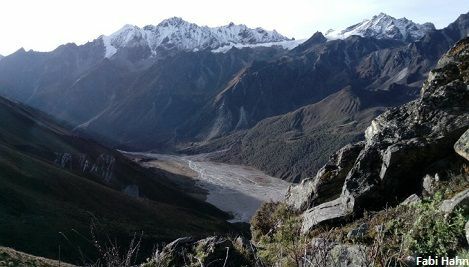 I did a trek to the Langtang region around mid-february 2016. Our intended route was: Lama Hotel – Langtan – Kyanjin Gompa, then return down. We realized that we were one of the first people to resume trekking in this region following the April 2015 earthquake. The one hour regular flight is the best way to see Mt. Everest while you are in Nepal. The flight takes off from Kathmandu and hovers along the eastern Himalayas offering magnificent view of Langtang, Gauri Shankar, Cho You and the Mount Everest.